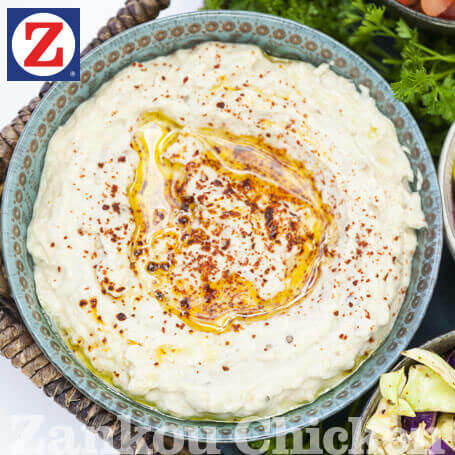 Our smooth, house-made hummus is prepared from garbanzo beans and blended with fresh garlic and tahini, topped with olive oil and a sprinkling of paprika. 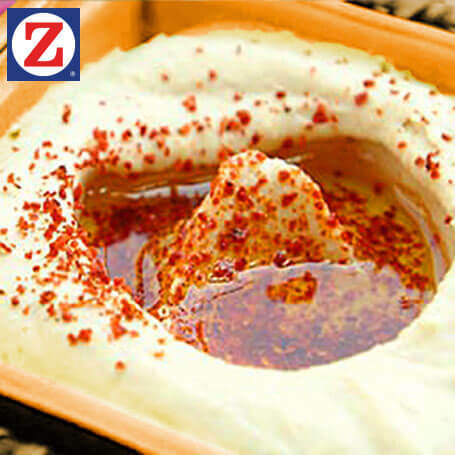 HUMMUS: Garbanzo beans, fresh garlic and sesame tahini blended together and topped with olive oil and paprika. All salads and sides are 100% Vegan.